Pumpkin spice and everything nice! 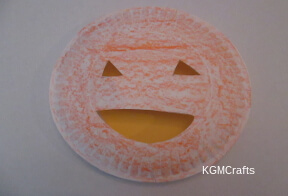 Let's go make some fall crafts for kids! 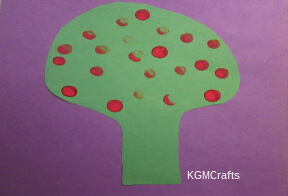 Your children can have loads of fun by making pretty trees and leaves. But before we get started, let's go on a hayride! What can we see? Pumpkin patches and piles of leaves. Ohhh, leaves! Let's go jump in them!!! Or maybe not. Your Mom might want you to rake them back up. So now that we have been inspired, let's go pick up a book and cuddle up by the fire... I mean let's get our supplies and create something red, yellow and orange. Oh, look at the time! The kids need to go back on the yellow bus now. But before they go, maybe we can make some back to school crafts. Even if they are already at school, they will come back. Then they could make an apple for the teacher or other items for class. you can teach your kids about Autumn. 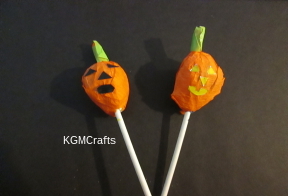 Click the pictures below for fun fall crafts and decorations. And speaking of bright colors and cool leaves. Let's make some coasters right now, for that pumpkin spice latte. (Or hot chocolate for the kids). The leaves are falling in the breeze right onto your table! Print out your leaf template here. You will need a PDF reader. The template has a picture of an elm, maple, and oak leaf. 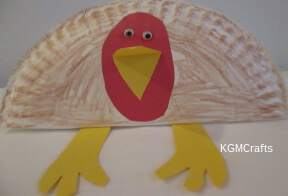 Cut the leaves out and place on felt (I found that taping the template onto the felt makes it easier to cut). 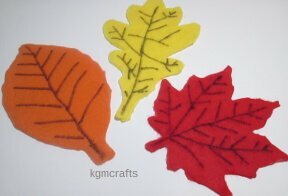 Cut two felt pieces for each leaf. With a permanent marker draw the vanes on one side of the leaf. The template includes ideas for how to draw the vanes for each leaf. Cut small pieces of stitch witchery to place between the two leaf pieces. Heat your iron to wool. You will also need a wet cloth. Place the wet cloth over your leaf. Then top with the hot iron. Hold for ten seconds. If you don’t have stitch witchery you could use tacky glue. On cold fall days make your favorite hot drink and place on the quiet leaves. Trees are so beautiful at the beginning of fall when they are changing color. "Dewey" have to go to school today? Well, it isn't all bad. You can do some back to school crafts to get you in the mood. 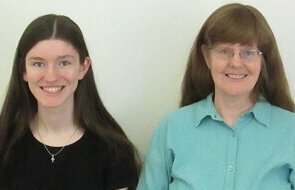 (And it doesn't matter if you are in public school or if you are homeschooled). 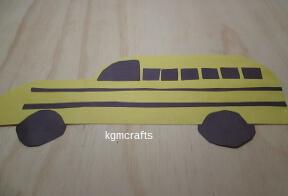 Make a bus, notebook cover, or a gift for your teacher. Soon the trees will look like bare skeletons. So let's enjoy the colorful leaves today. We can create our own little colored forest. 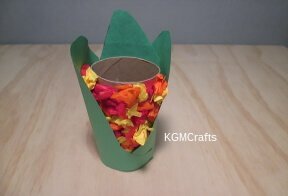 Get out some gold, orange, and pink paper and create tree crafts for kids. Wait pink is for spring we will have to wait several months for this color. So I guess we will have to settle for red. Crows beware! 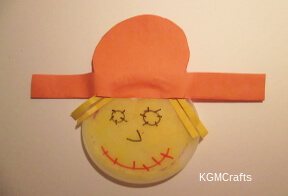 Scarecrow crafts for kids will decorate your home this fall. 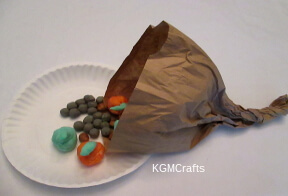 Even if you live in an evergreen forest, you can still have a wonderful time by making fall crafts for kids. 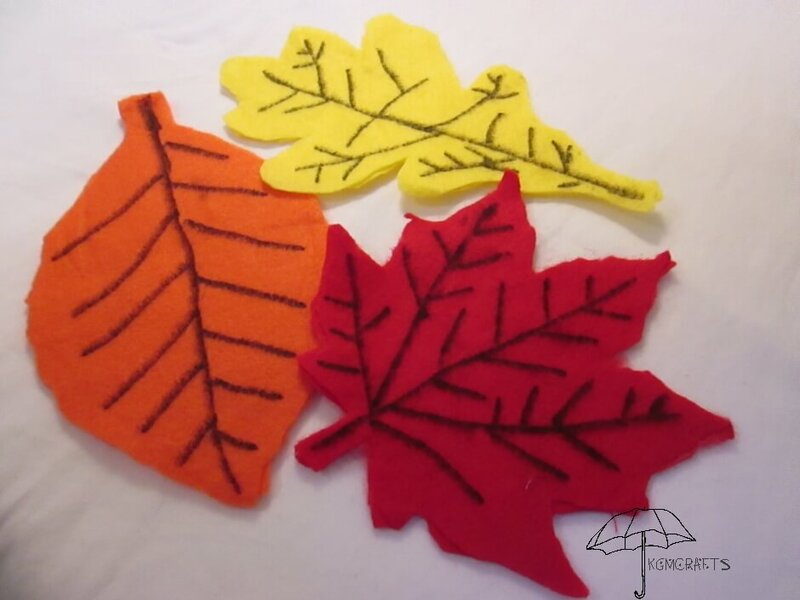 The kids can make some felt leaves to jump on. Or maybe a deciduous tree. It doesn't matter, you will be able to have your Autumn anyway.